One of my favorite parts of the holiday season is looking at all of the light displays throughout the city. I don&apos;t have to go far to see some spectacular displays...some of my neighbors REALLY get into the decorating spirit. But there are a few places I make sure I visit at least once before the holidays are done. 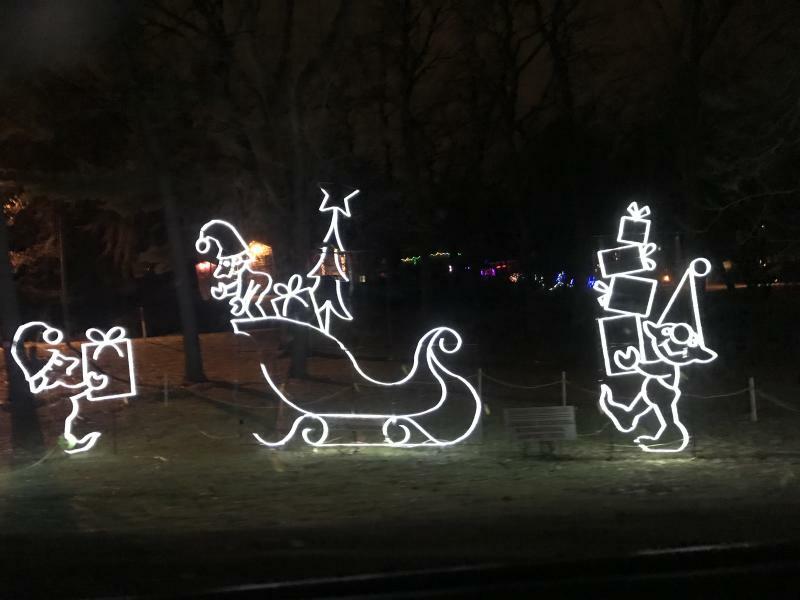 If you have family in town and are looking for ways to "wow" them, it&apos;s guaranteed that a stop to one of these local light displays will be a shining success! Remember a few years ago during the holidays when a video went viral of a house that timed their Christmas lights to the song Wizards of Winter? 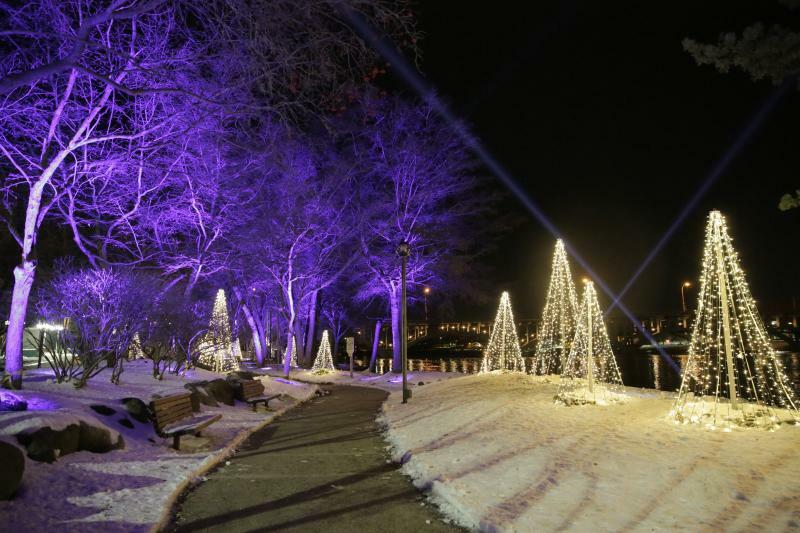 Imagine that, but involving all of the lights along the banks of the Rock River in downtown! 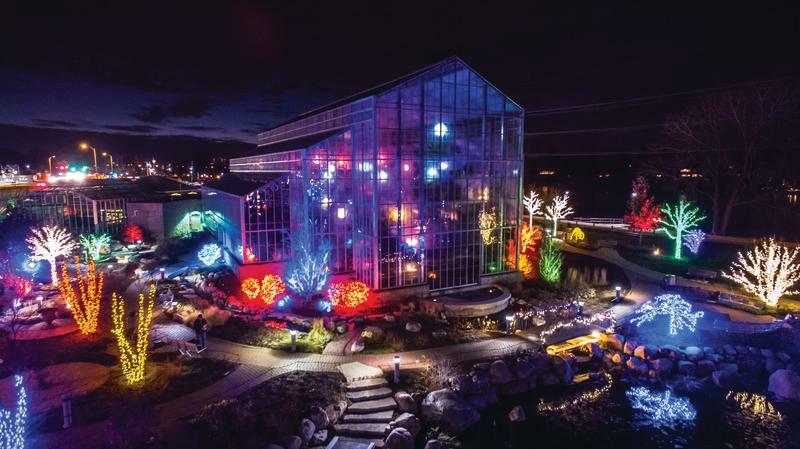 Rockford&apos;s River Lights (sponsored by ComEd) looks spectacular if you&apos;re driving by, with all of the lighted string trees and the colorful uplighting, but the time you really want to go is Friday or Saturday nights between 5:30 and 8:30 p.m. There are holiday shows of dancing and synchronized lights to music every 15 minutes! You haven&apos;t really experienced "Jingle Bell Rock" until you walk through the Esplanade on the west bank of the river downtown during one of the performances. I&apos;m lucky enough that I get to drive by the All Aglow Exhibit at Nicholas Conservatory every day on my way home from work! The amount of lights that they display amazes me each year. I&apos;m not just talking about a few lights here and there. I&apos;m talking about trees, plants, railings, EVERYTHING covered in lights! And that&apos;s just the outside! They have several other light features inside the conservatory itself. A walk through the All Aglow Exhibit all bundled up with a cup of hot cocoa in hand is the perfect way to spend a brisk, winter night. Get those Instagram filters ready! Driving through the Festival of Lights has always been a family tradition for me. I remember when I was a kid, my parents would take my two sisters and I and we would make a special trip to Sinnissippi Park to see all of the light displays. As I got older, I would still make the trip and go through with my friends, and now I go see them with my husband. You&apos;ll see a lot of the displays change over the years, but there are a few that remain the same. One of my favorites is right at the beginning where you get to drive under a canopy of lights! There you have it! 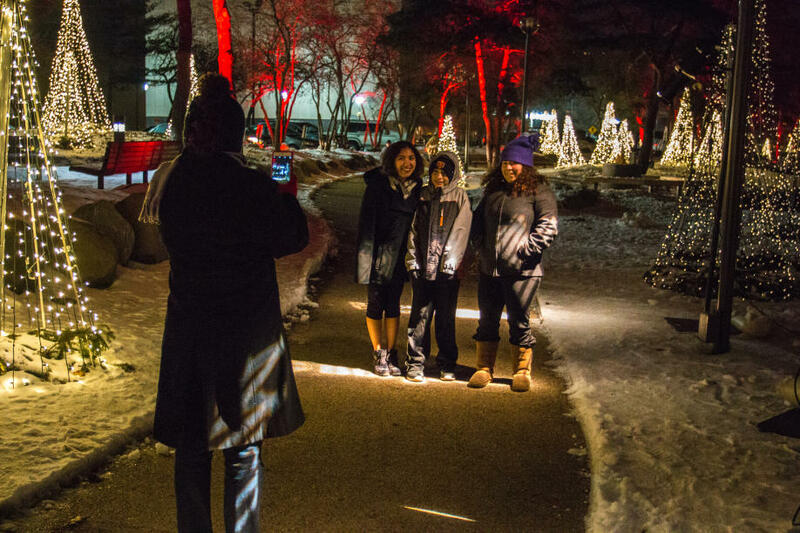 Step out of your neighborhood this holiday season and go witness some of the twinkling and shining lights that Rockford has to offer!